NEW YORK, March 15, 2016 (GLOBE NEWSWIRE) -- HC2 Holdings, Inc. (“HC2”) (NYSE MKT:HCHC), a diversified holding company that focuses on acquiring and operating businesses that it considers to be under or fairly valued and growing its acquired businesses, today announced its consolidated results for the fourth quarter and fiscal year 2015, which ended on December 31, 2015. Net revenue: HC2 recorded consolidated total net revenues of $360.6 million for the fourth quarter of 2015, an increase of $136.6 million, or 61%, as compared to the fourth quarter of 2014, primarily driven by the expansion in scale and number of customer relationships in our Telecommunications segment. HC2 recorded consolidated total net revenue of $1,120.8 million for the fiscal year ended December 31, 2015, an increase of $573.4 million, or 105%, as compared to fiscal 2014 as reported due to the full year impact of acquisitions made in 2014 and expansion in scale and customer relationships in our Telecommunications segment. Operating Profit/(Loss): HC2 reported a loss of $3.2 million from operations for the fourth quarter compared to a loss of $6.8 million during the fourth quarter of 2014, primarily driven by a reduction in corporate share-based payment expense due to equity awards granted in the fourth quarter of 2014. Operating profit for fiscal year 2015 was $2.2 million compared to a loss of $13.6 million during fiscal year 2014. The increase in operating profit was largely the result of the full year impact of the acquisitions made in 2014 and improved profitability in our Manufacturing and Telecommunications segments. The increase was offset in part by an increase in acquisition and overhead costs in our Non-operating Corporate segment and decreases in our Life Sciences and Other segments (“Early-Stage and Other”). Adjusted EBITDA: Adjusted EBITDA for our Manufacturing, Marine Services, Telecommunications, Utilities, and Insurance segments (our “Core Operating Subsidiaries”), was a combined $26.7 million for the fourth quarter of 2015 and $96.9 million for fiscal year 2015. This compares to a combined Adjusted EBITDA of $94.3 million during fiscal year 2014. Adjusted EBITDA for our Core Operating Subsidiaries benefitted from strong growth in our Manufacturing segment due largely to margin expansion, growth in scale and customer relationships in the Telecommunications segment, and an increase in the number of natural gas fueling stations in our Utilities segment. This was offset by the impact of fewer installation projects in the Marine Services segment when compared to 2014 on a pro-forma basis. HC2 recorded total Adjusted EBITDA of $12.5 million during the fourth quarter of 2015 and $51.9 million for fiscal year 2015 after considering results from Early-Stage and Other (including a $5.0 million and $12.0 million Novatel Wireless non-cash charge in the fourth quarter and fiscal year 2015, respectively) and our Non-Operating Corporate segment. Balance sheet: As of December 31, 2015, HC2 had consolidated cash, cash equivalents and investments of $1.5 billion, which includes the addition of our Insurance segment during the fourth quarter. At the corporate level, HC2 had $41.2 million in cash, cash equivalents and short-term investments at the end of the year. On December 24, 2015, HC2 completed the acquisition of long-term care and life insurance businesses, United Teacher Associates Insurance Company (“UTAIC”) and Continental General Insurance Company (“CGIC”). UTAIC and CGIC had approximately $80.0 million of statutory surplus and $1.9 billion in total GAAP assets as of December 31, 2015. Schuff’s backlog was $380.8 million as of December 31, 2015 consistent with the third quarter 2015 backlog. Notable ongoing projects include the Wilshire Grand Center in Los Angeles, the new Apple headquarters in Cupertino, CA, the new Volvo facility in South Carolina, the Anaheim Convention Center, and the Loma Linda Hospital in Los Angeles. Global Marine announced the acquisition of a majority interest in CWind Limited, a leading offshore renewables specialist, highlighting the continued commitment to the offshore renewable sector. Global Marine also completed operations and installed a fiber optic cable between the Japanese island of Okinawa and an existing branching unit (BU) in the Asia Submarine-cable Express (ASE) system. In addition, Global Marine secured a sub-contract to install an optic cable between the Indonesian islands of Bali and Lombok and a contract win from Ocean Networks Canada, to upgrade the fibre optic cables serving the NEPTUNE observatory off the west coast of Canada. Global Marine recently announced the award of the extension of the North America Maintenance Zone (NAZ) submarine cable maintenance contract up to December 31, 2024. This long-term extension demonstrates Global Marine’s capability to deliver highly responsive and well-executed maintenance provisions to its customers. Huawei Marine Networks, one of Global Marine’s Joint Venture partners, secured a contract to build the Cameroon-Brazil Cable System (CBCS), connecting Africa to Latin America. On November 4, 2015, HC2 announced the pricing of an underwritten public offering of 8,452,500 newly issued shares of HC2’s common stock. The net proceeds to HC2 from the offering, after deducting underwriting discounts and commissions and offering expenses, were approximately $54.7 million. The pro forma basis gives effect to the impact from our 2014 acquisitions of Schuff and Global Marine as if they had occurred on January 1, 2014. Management believes that Adjusted EBITDA provides investors with meaningful information for gaining an understanding of our results as it is frequently used by the financial community to provide insight into an organization’s operating trends and facilitates comparisons between peer companies, since interest, taxes, depreciation, amortization and the other items listed in the definition of Adjusted EBITDA below can differ greatly between organizations as a result of differing capital structures and tax strategies. Adjusted EBITDA can also be a useful measure of a company’s ability to service debt. While management believes that non-US GAAP measurements are useful supplemental information, such adjusted results are not intended to replace our US GAAP financial results. In 2015, we adjusted our definition of Adjusted EBITDA to exclude the adjustment for income (loss) from equity investees. We believe that the income generated by the equity investees of our Marine Services segment is an integral part of the segment's operating results. For consistency purposes we applied the same treatment to the equity investees within our Other segment. For the year ended December 31, 2014, this change resulted in an increase in Adjusted EBITDA of $4.7 million and $6.3 million on an as reported and pro forma basis, respectively. The calculation of Adjusted EBITDA, as defined by us, consists of Net income (loss) as adjusted for depreciation and amortization; asset impairment expense; gain (loss) on sale or disposal of assets; lease termination costs; interest expense; loss on early extinguishment or restructuring of debt; other income (expense), net; foreign currency transaction gain (loss); income tax (benefit) expense; gain (loss) from discontinued operations; noncontrolling interest; share-based compensation expense; acquisition related costs; and other costs. See below for a reconciliation of Adjusted EBITDA to net income. HC2 Holdings, Inc. will host a live conference call to discuss its results on Wednesday, March 16, 2016 at 8:30 a.m. Eastern Daylight Time. To join the event, participants may call 1.866.395.3893 (U.S. callers) or 1.678.509.7540 (international callers), using conference ID number 67881436. Alternatively, a live webcast of the conference call can be accessed by interested parties through the Investor Relations section of the HC2 Website, www.HC2.com. A telephonic replay of the call will be available through midnight March 22, 2016 by dialing 1.855.859.2056 (domestic) or 1.404.537.3406 (international) and entering passcode 67881436. Safe Harbor Statement Under the Private Securities Litigation Reform Act of 1995: This release contains, and certain oral statements made by our representatives from time to time may contain, forward-looking statements. Generally, forward-looking statements include information describing actions, events, results, strategies and expectations and are generally identifiable by use of the words “believes,” “expects,” “intends,” “anticipates,” “plans,” “seeks,” “estimates,” “projects,” “may,” “will,” “could,” “might,” or “continues” or similar expressions. The forward-looking statements in this press release include without limitation statements regarding our expectation regarding building shareholder value. Such statements are based on the beliefs and assumptions of HC2's management and the management of HC2's subsidiaries. The Company believes these judgments are reasonable, but you should understand that these statements are not guarantees of performance or results, and the Company’s actual results could differ materially from those expressed or implied in the forward-looking statements due to a variety of important factors, both positive and negative, that may be revised or supplemented in subsequent reports on Forms 10-K, 10-Q and 8-K. Such important factors include, without limitation, unanticipated issues related to the restatement of our financial statements; the fact that we have identified material weaknesses in our internal control over financial reporting, and any inability to remediate future material weaknesses; capital market conditions; the ability of HC2's subsidiaries to generate sufficient net income and cash flows to make upstream cash distributions; volatility in the trading price of HC2 common stock; the ability of HC2 and its subsidiaries to identify any suitable future acquisition opportunities; our ability to realize efficiencies, cost savings, income and margin improvements, growth, economies of scale and other anticipated benefits of strategic transactions; difficulties related to the integration of financial reporting of acquired or target businesses; difficulties completing pending and future acquisitions and dispositions; effects of litigation, indemnification claims, and other contingent liabilities; changes in regulations and tax laws; and risks that may affect the performance of the operating subsidiaries of HC2. These risks and other important factors discussed under the caption “Risk Factors” in our most recent Annual Report on Form 10-K filed with the Securities and Exchange Commission (“SEC”), and our other reports filed with the SEC could cause actual results to differ materially from those indicated by the forward-looking statements made in this press release. HC2 Holdings, Inc. is a publicly traded (NYSE MKT:HCHC) diversified holding company, which seeks opportunities to acquire and grow businesses that can generate long-term sustainable free cash flow and attractive returns in order to maximize value for all stakeholders. HC2 has a diverse array of operating subsidiaries across seven reportable segments, including Manufacturing, Marine Services, Utilities, Telecommunications, Life Sciences, Insurance and Other. HC2’s largest operating subsidiaries include Schuff International, Inc., a leading structural steel fabricator and erector in the United States, and Global Marine Systems Limited, a leading provider of engineering and underwater services on submarine cables. 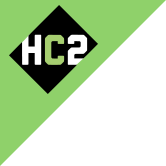 Founded in 1994, HC2 is headquartered in Herndon, Virginia.